Our national day of Thanksgiving dates back to the celebration of a bountiful harvest following the first harsh winter in the Plymouth colony. That day of thanksgiving, however, may have followed a tradition of giving thanks to God that dates as far back as the first celebration of Sukot, or the Feast of Tabernacles. The tradition introduced by European Americans of Thanksgiving as a time to focus on God and His blessings dates back well over four centuries in America. For example, such thanksgivings occurred in 1541 at Palo Duro Canyon, Texas with Coronado and 1,500 of his men; 1 in 1564 at St. Augustine, Florida with French Huguenot (Protestant) colonists; 2 in 1598 at El Paso, Texas with Juan de Oñate and his expedition; 3 in 1607 at Cape Henry, Virginia with the landing of the Jamestown settlers; 4 in 1619 at Berkeley Plantation, Virginia; 5 (and many other such celebrations). But it is primarily from the Pilgrim’s Thanksgiving celebration of 1621 that we derive the current tradition of Thanksgiving Day. That summer, the Pilgrims, still persevering in prayer and assisted by helpful Indians, 8 reaped a bountiful harvest. 9 As Pilgrim Edward Winslow (later to become the Governor) affirmed, “God be praised, we had a good increase of Indian corn”; “by the goodness of God, we are…far from want.” 10 The grateful Pilgrims therefore declared a three-day feast in December 1621 to thank God and to celebrate with their Indian friends 11 – America’s first Thanksgiving Festival. Ninety Wampanoag Indians joined the fifty Pilgrims for three days of feasting (which included shellfish, lobsters, turkey, corn bread, berries, deer, and other foods), of play (the young Pilgrim and Wampanoag men engaged in races, wrestling matches, and athletic events), and of prayer. This celebration and its accompanying activities were the origin of the holiday that Americans now celebrate each November. Resolved, That a joint committee of both Houses be directed to wait upon the President of the United States to request that he would recommend to the people of the United States a Day of Public Thanksgiving and Prayer. . . .
Much of the credit for the adoption of Thanksgiving as an annual national holiday may be attributed to Mrs. Sarah Josepha Hale, the editor of Godey’s Lady’s Book, a popular lady’s books containing poetry, art work, and articles by America’s leading authors. For two decades, she promoted the idea of a national Thanksgiving Day, 20 contacting president after president until Abraham Lincoln responded in 1863 by setting aside the last Thursday of that November. That remarkable Thanksgiving Proclamation came at a pivotal point in Lincoln’s spiritual life. Three months earlier, the Battle of Gettysburg had occurred, resulting in the loss of some 60,000 American lives. It had been while Lincoln was walking among the thousands of graves there at Gettysburg that he first committed his life to Christ. As you celebrate Thanksgiving this year, remember to retain the original gratefulness to God that has always been the spirit of this – the oldest of all American holidays. The Continental-Confederation Congress, a legislative body that governed the United States from 1774 to 1789, contained an extraordinary number of deeply religious men. The amount of energy that Congress invested in encouraging the practice of religion in the new nation exceeded that expended by any subsequent American national government. Although the Articles of Confederation did not officially authorize Congress to concern itself with religion, the citizenry did not object to such activities. This lack of objection suggests that both the legislators and the public considered it appropriate for the national government to promote a nondenominational, nonpolemical Christianity. Congress appointed chaplains for itself and the armed forces, sponsored the publication of a Bible, imposed Christian morality on the armed forces, and granted public lands to promote Christianity among the Indians. National days of thanksgiving and of “humiliation, fasting, and prayer” were proclaimed by Congress at least twice a year throughout the war. Congress was guided by “covenant theology,” a Reformation doctrine especially dear to New England Puritans, which held that God bound himself in an agreement with a nation and its people. This agreement stipulated that they “should be prosperous or afflicted, according as their general Obedience or Disobedience thereto appears.” Wars and revolutions were, accordingly, considered afflictions, as divine punishments for sin, from which a nation could rescue itself by repentance and reformation. May we remember to thank God for His many blessings as we enjoy Thanksgiving dinner and time with family today. 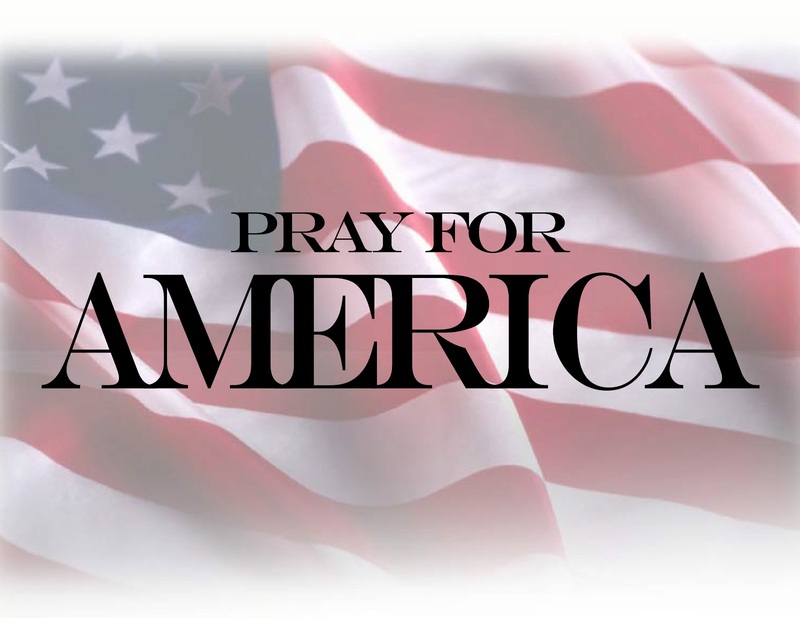 And may God’s blessings continue to be on us and upon America, the country He birthed in liberty. This entry was posted on November 28, 2013 at 7:57 AM	and is filed under Uncategorized. You can follow any responses to this entry through the RSS 2.0 feed. You can leave a response, or trackback from your own site.